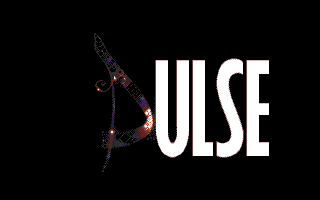 pulse by Checkpoint [web] & Live! super awesome tools and very smooth visuals! Just watched it on the big screen at Sundown. Very solid production, with great flow, some cool jokes and fantastic way to loop at the end. This was great to see at Sundown. A video of the final version was shown out-of-compo. A checkpoint prod without lsl/Defjam and it still rules. And great work from the rest of the team.. Except of this - *******EXCELLENT******* ST production. Thank You VERY MUCH!!!!!!!! Looks like a great Amiga OCS demo, and that is an achievement given the Hardware differences. Cool production! Very nice production, suberb tune from 505! excellent demo, excellent music and gfx too! Some nice effects and some better design from Checkpoint! awesome ST demo. congrats to all Checkpoint guys! Absolutely brilliant! Awesome demo guys! Love the trasition and sync - the dhs greet pun is hillarious. rulez added on the 2015-08-10 08:27:07 by JAC! Wow, this is really cool. Especially transition work and pace. Really great demo, missing that kind of demos on amiga nowadays!!! Tune roxxs!! Great colors, effects and gfx! What elend said, most even and enjoyable ST demo that comes to mind. Top drawer! I like all: fx & music, but also flow+length+size of the show. Graphics, effects, music, everything is top-notch here. Awesome demo that I will rewatch quite often! Everything's fine here, very good stuff! My favourite Checkpoint demo ever:) I love the style and good design. Well done! Oh wait I ran Steem at "max mhz" setting and it works OK. But the rest of the demo is very fast now. super nice tune, stylish and colourfull ah once again. <3 it! Great flow, code and graphics! I specially like border removal part. Cute demo. There are many parts I like, but the whole thing is well polished. Ukko and Modmate are on fire with their graphics right now. There are many cool little touches, I can't mention just one favourite part. Great design and flow! Funny to see a C64 effect ported to Atari ST. And nice ending! Like all good things it seems to end too early but the demo is 100% enjoyable and polished to the bone (well except for the small text at the beginning if you allow some criticism ;). Really great prod I will enjoy watching again and again ! What effect are you talking about ? All fx have been done before except for the colorful bridgelike one. Are you talking about this one ? That effect was first seen in GoatLight by Fairlight, Noice and Offence. Will there be an answer by DHS? Excellent demo; this was talked about even amongst those of us Atari sceners who were not at Sommarhack this year. Nice to see it shown on the stream via Sundown 2015 as well. Enjoyable end to end, refreshing. Now waiting for DHS answer ! @stsurvivor: Yep, what SingRay said. One of the best ST demo ever! Top effect, design, music and gfx. I love it, congratz ! its like watching one of those uplifting a500 classics! Massive. I really enjoyed the whole demo. Cheers from mds. impressive. everything seems calculated and synchronized so well. the design is top notch. I like it. Great music from Five o Five! Where can i find the ym convert ? Love the metaballs, the effect with a scroll inside, pacing and music. It's nice to see a kinda modern demo for ST. And the beat goes on and on! Great effects, cool tune and nicely polished! What Oswald pixelled :) . Kudos and thanks for the prod and the source! What I can say? No comment really. It's absolutely brilliant: music, flow, spirit everything! As ST is not my main platform, that prod show real quality of it , and quality of creators of this prod! Keep on doing good job mates! UKKO gfx ? Check ! This is good. Very good. Most effects have been seen before but they are being carried out with style and excellent quality. Nice graphics, awesome soundtrack. In my top ten favs ! Can watch it again and again, huge design quality, 505 making it rock even more ! how to run .tos file in emulator? SainT or Hatari? Just doubleclick it I reckon. Can't believe I still hadn't thumbed that prod! Nice colorful and smooth effects, cool music and excellent overall design. 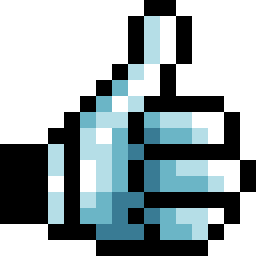 I didnt thumb up one of the greatest demos ever on the ST?! Well you can have my thumb, sir! page created in 0.022241 seconds with 15 queries.